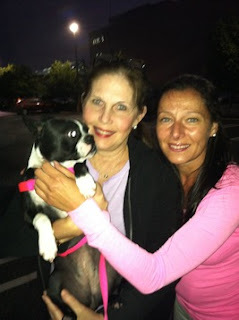 Last weekend, sweet little Macy went to begin her new life with her forever mom, Judy Sedita. 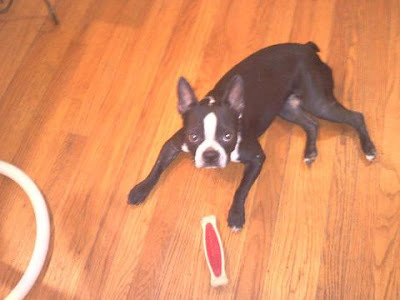 Macy was being fostered by a wonderful foster Mom, Leslie, who lives outside Pittsburgh PA, in Morgan Pa. Her forever Mom lives on Long Island. That's a long way apart for a young pup to travel! 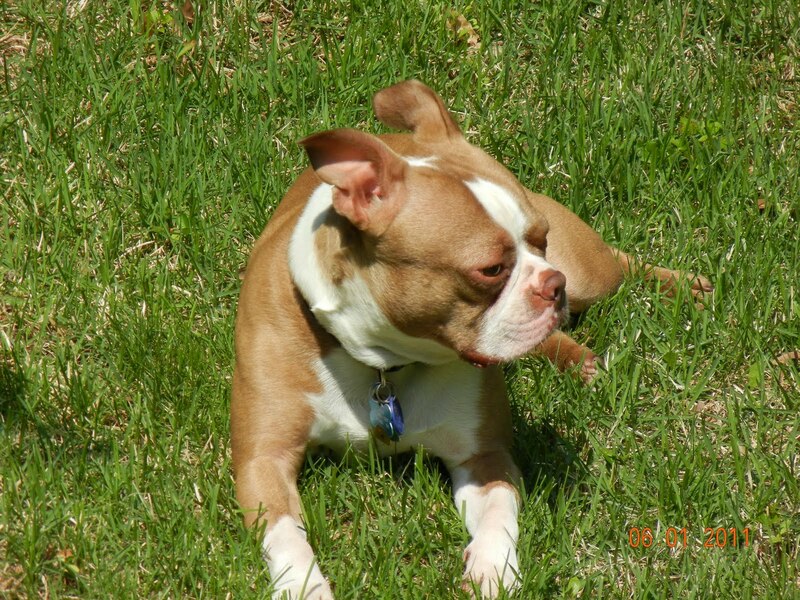 Thanks to a group of NEBTR volunteers, Macy got home last Saturday. She went from Leslie to Jess B to Jess C to Ellen to Eduardo to Judy. And she traveled all the way in great good humor and style. She got and gave lots of kisses, and everyone who helped her out fell in love with her. Thanks to all of our wonderful volunteers she made it safely! 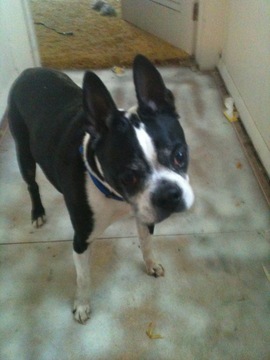 Leslie reported, "I would like to say a big THANK YOU to all involved in Macy's transport. 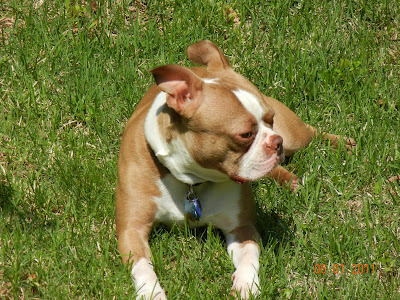 Just heard from Judy and they are home and Macy is exploring her new place and toys! Judy was so excited! It was 6 weeks this weekend I had her and it was sad saying goodbye to her, but am so happy she found a home." 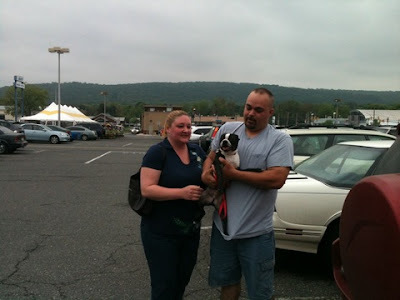 Eduardo, who met Judy, said that Macy was very happy with her new Mom! Big thanks to all who participated, especially Leslie, who started Macy on her new life with loving care, and also to Andrea, who did the home check. June 5 was Oscar's Gotcha' Day! One year ago today we took a 2 hour drive to the McFadden's house to pick up our sweet boy! Oscar is so sweet, affectionate, smart, and the FUNNIEST dog on the planet! He cracks us up every single day. Thank you NEBTR and the McFadden family for taking care of him.Here he is sunning in the yard the other day. I am happy to report that Rocco went to his forever home on Saturday. He now has a wonderful new family in Vineland, NJ, complete with 2 brothers; a boxer affectionately named "Eeyore" because he is older and mopes around, and the cutest little brown/white BT named Gizmo. I heard from Jaime, Rocco's new mom, that he settled right in like he had always lived there and he's having a ton of fun. He has a huge fenced backyard to get out all of that energy. 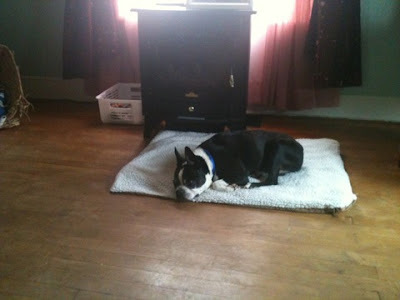 I've included a picture of Rocco in his new home. 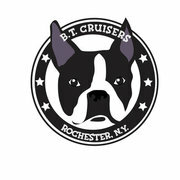 I picked up my new foster in Rome, NY yesterday. We named him Papi, which is Spanish for "Daddy" and it really fits him this old guy. When I met the transport, Papi was shaking in his crate and covered in feces/urine. Rome is 2 hours from me and it was not a fun ride home. But I gave him a good 15 minute scrub when we got home. He is approximately 9 years old and his age really shows. He has trouble going up the stairs and prefers to lay on the floor than jump up on the furniture. I made him a nice little doggy bed in front of the fireplace and let him dry off after his bath. He likes that. He also walks a little funny on his back legs. I have a vet appointment set up for next week and will have them check for luxating patellas. Other than not eating yet, he seems to be doing well. He is really sweet and LOVES belly rubs. I've also attached a picture of him here. He's a big guy - approx. 32 lbs and stands just a bit taller than Chico! support the Boston love) by donating a small amount?